Will you be ready for the upcoming season? Bend Hoops training programs will offer middle school and high school athletes of all sports the opportunity to train prior to the season so they can try and attain the best results during the season. Paul Cain will help male and female athletes gain strength and flexibility while helping improve conditioning for each respective sport. Pending the age group and time of year, programs will be offered at various times (fall, winter, spring, summer) and run in either 6,7, or 8 week sessions. The programs will be designed specific to an individuals sport with the intent of helping them achieve maximum results in the upcoming season. Whether you are trying to get stronger, faster, or quicker this program is sure to help! Train like an elite athlete. Sign up your son or daughter to experience real gains and learn new tools and techniques to become bigger, better, faster, and stronger. ll athletic ability for the sport they love. Bend Hoops is thrilled to host several Saturday morning drop-in adult fitness classes. Join him to enhance your overall strength and conditioning and learn performance training tips that can help improve ones functional movements. This class will be focused on teaching safe and effective strength training practices. Contact paulcain@bendhoops to confirm attendance or to receive more information. What athlete wouldn’t want to add a few inches to there vertical leap? 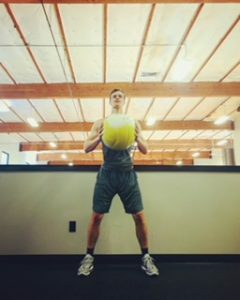 As one of Bend Hoop’s most popular classes, this 7 week program is sure to increase overall athletic ability and help improve one’s explosive strength. *Please contact paulcain@bendhoops for information regarding future vertical jump training programs or private and small group sessions inquiries.